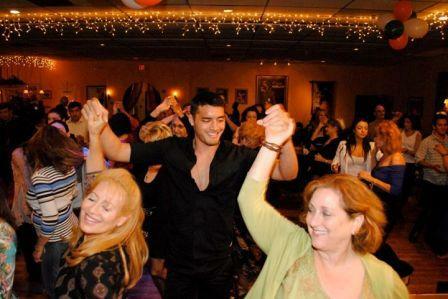 Join Us Every Sunday Evening at Goldcoat Ballroom for an Exciting Evening of Social Dancing! 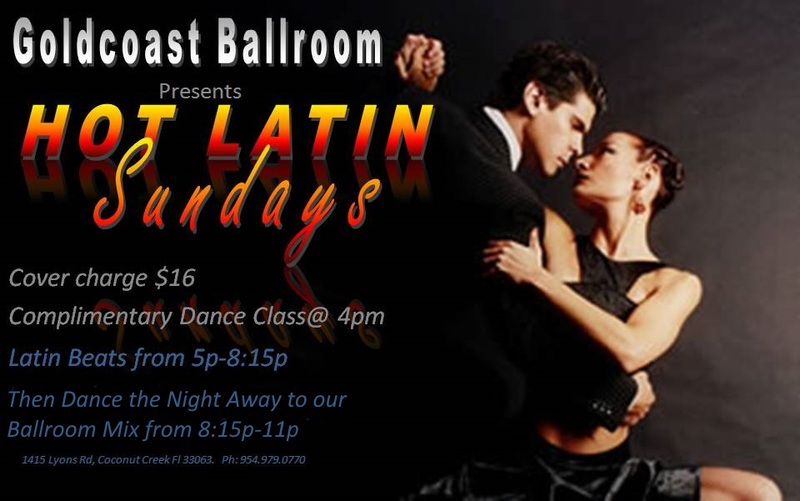 A Complimentary Salsa Class (4:00 pm – 5:00 pm) is included with paid Admission for the Evening!! No Food is served on Sundays, but our bar is open; purchase your choice of wine, beer, champagne, soda/ soft drinks, and more!